The Sheldon Tapestry Map of Warwickshire was woven in the 1590s, and was one of a set of four tapestry maps made to hang in Ralph Sheldon’s house in south Warwickshire. It’s a rare and wonderful pictorial representation of Elizabethan Warwickshire – a bird’s eye view of Shakespeare’s landscape. Before arrival at the British Museum for the exhibition Shakespeare: staging the world, the tapestry has spent over a year undergoing conservation. This work has enabled us to get close to the tapestry, and make exciting discoveries! Removing the old lining revealed the vibrant original colour – it was very green! Light has faded the yellow colour from the green wool, so that the tapestry front now looks blue instead of green. The period of (cl00 BC to AD 100) witnessed the arrival of a whole new series of accessories relating to the etiquette of eating and drinking. These include a range of ceramic and metal vessels, particularly jugs,cups and strainers as well as fine tablewares and of course amphorae,which held (among other things) a new drink- wine. Food and drink are deeply implicated in the politics and social identity and a feast is one of the many opportunities where food and consumption can be studied. They are occasions where food is consumed of a different quality and quantity to that of everyday meals. This difference in the food offered and shared reflects a common understanding of the closeness of various types of social relationships such as, status,political power,and family bonds. 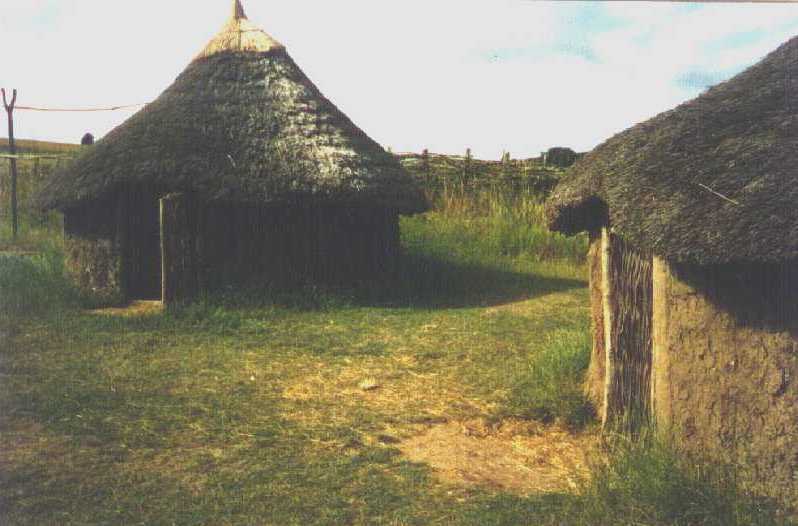 Iron Age Central cookhouse within the roundhouse. 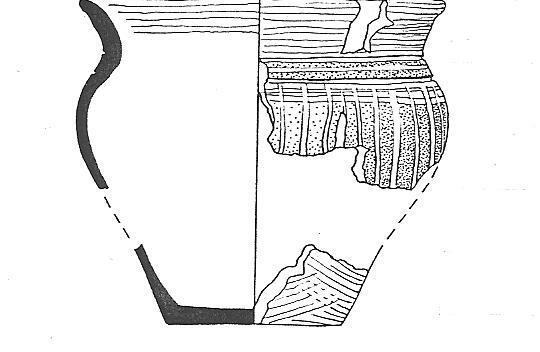 The very foundations of archaeological investigations are the residues of food preparation and the consumption of that food; animal bones,pottery,plant remains(micro and macro),landscape exploitation,settlement patterns and grave goods. Food and drink are forms of material culture and, as with all archaeological remains,they cannot be divorced from the social and cultural context in which they are produced,consumed and discarded(Miracle 2002,65) Food plays an” active” role in the creation of socio-cultural contexts and the negotiations of power enacted within them, and must be viewed as more than just a source of nourishment. 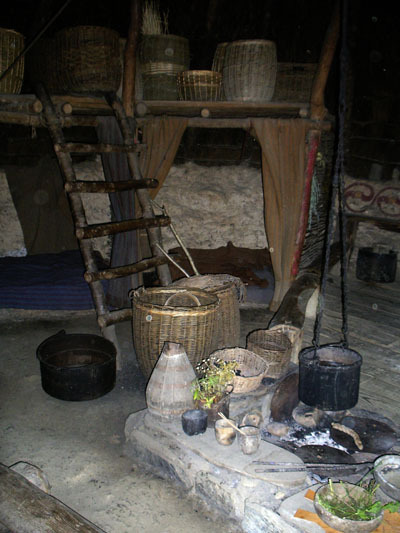 IRON AGE and EARLY ROMAN BRITAIN. The period 800 BC to AD too was a time of considerable change in Britain .From 500 BC onwards the archaeology record becomes generally fuller and more visible. More sights are known and all classes of material culture increase in number. Fine metalwork and weaponary are deposited in watery places,on dry land, and in graves in increasing numbers from this period too. The adoption of wheel turned pottery has been seen as one of the key defining features of the Late Pre-Roman Iron Age in Southern Britain. A distinctive style of wheel turned pottery, known as Belgic Ware appeared in parts of Hertfordshire, Essex,Kent and West Sussex during the first century BC. This innovation is one of the major changes that took place in these areas during this period. This period also witnessed marked changes in settlement,ritual, material culture and political organisation. There was the introduction of a moneyed and urbanised state level of social organisation. Settlements with specialist functions emerged too and occupation expanded into previously marginal areas. There were imports of ceramic,metal and glass vessels associated with eating and drinking as well as exotic foodstuffs and Mediterranean wine. These demonstrate an increased concern with semiotics of the meal and the use of eating and drinking as an active vehicle for social distinction. 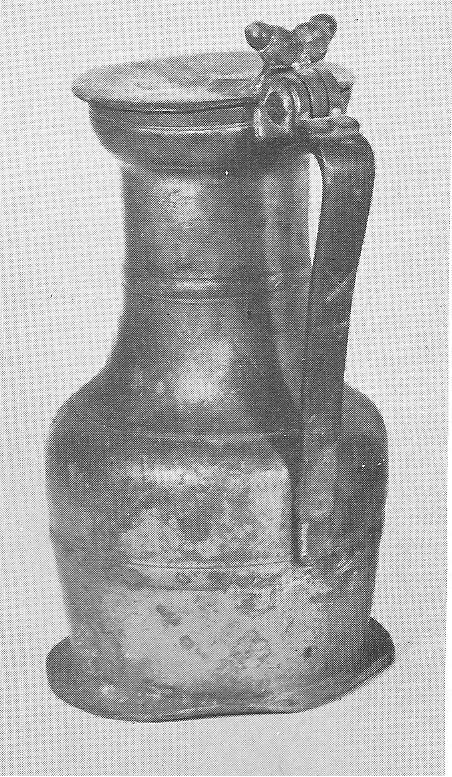 The Roman pottery is often seen as integral with the aforementioned changes. Feasts like other commensality,help to create and reinforce social connections and do so within a context in which distinctions among people can be emphasised and elaborated through the use of particular kinds of foods and beverages,serving equipment and etiquette of seating, serving and eating. Pots are tools and are used for storing ,preparing, cooking and serving food and drink the “foodways” of societies. This term refers not only to food preparation technology and the types of foods consumed,it also encompasses the social aspects of food such as the conventions of the meal,how cooking and eating reflect and reproduce the structure of family life,the use of meals to incorporate or distinquish,express or compete for status. Viewing pottery in this light allows archaeologists to move away from the more technological and functional ceramic analysis,and develop the notion that the need for specific types of ceramic vessels is directly related to how specific cultural foodways require vessels to prepare and serve certain foods and drinks in certain ways.It is important to observe the changes occurring in ceramic assemblages within the context of the socio-political and economic transformations of the later Iron Age- changes which is believed to be related to the activity of feasting. In order to comprehend the use of ceramics in feasting, it is important to understand what the actual ceramic changes were and when they were taking place during this period. It seems obvious that a wider range of different shaped ceramics were available in the Late Iron Age when compared to the narrow range of simple open containers of the MIA (Middle Iron Age) which were used in all aspects of food storage,preparation and serving. 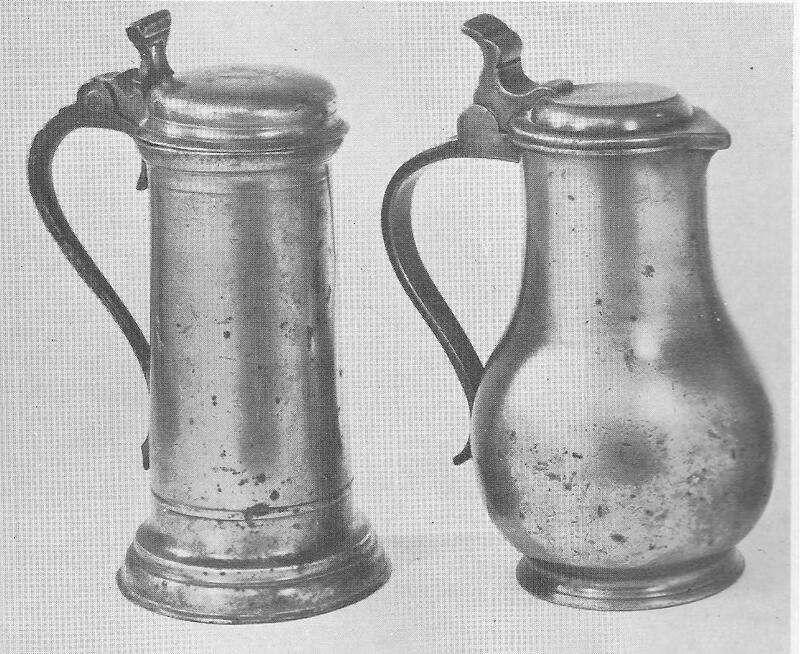 Some functional differences did exist among these hand-made MIA (Middle Iron Age) pots such as, burnished vessels were used more often for serving than cooking compaired to plain vessels which were used more for cooking than serving. The larger vessels were used primarily for storage/cooking whereas small sized vessels were used for serving and cooking. We see here that the MIA is characterized by essentially multi-purpose pottery vessels. Below are some examples of Iron Age pottery forms. Early Iron Age cup slightly inturned rim. There are two classes of fabric which are easily recognised, BBl originated among the Durotrigian peoples of Dorset and was handmade,burnished in facets; BB2 is a more greyer fabric finer and wheelthrown with a silky surface. Its manufacture most likely began after Mid l in South Eastern England (particularly Colchester and north west- Kent. Black Burnished Ware. Top back. Cooking pots with obtuse angled lattice. Bottom left and right flanged bowls.Bottom centre..Dog dish. The range of Black Burnished vessel forms serves as a useful guide for dating purposes. 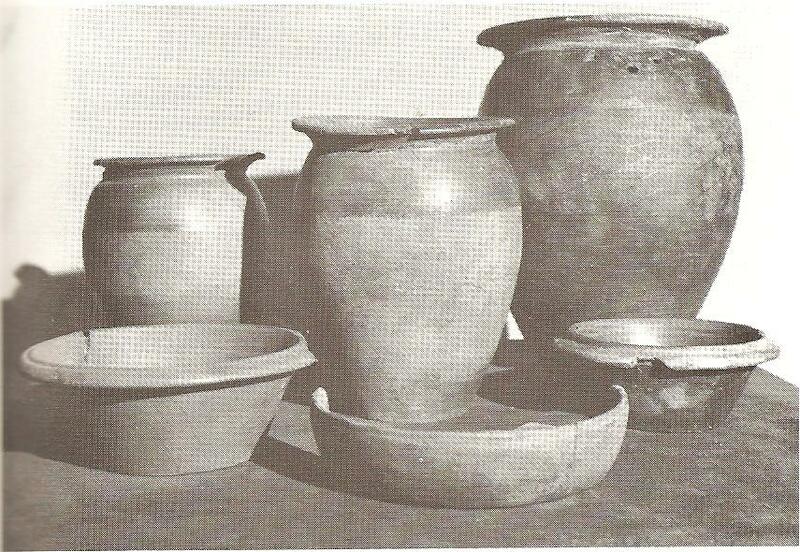 2nd century vessels are squatt/short necked with upward flaring rims, burnished on exterior and inside the rim. 3rd and 4th century. 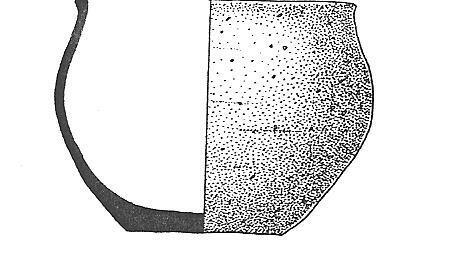 Vessels are more elongated and longer necked with rim projecting outward well beyond the body of the pot. Obtuse angled lattice confined to a narrower band often terminating by horizontal burnished groove or line. 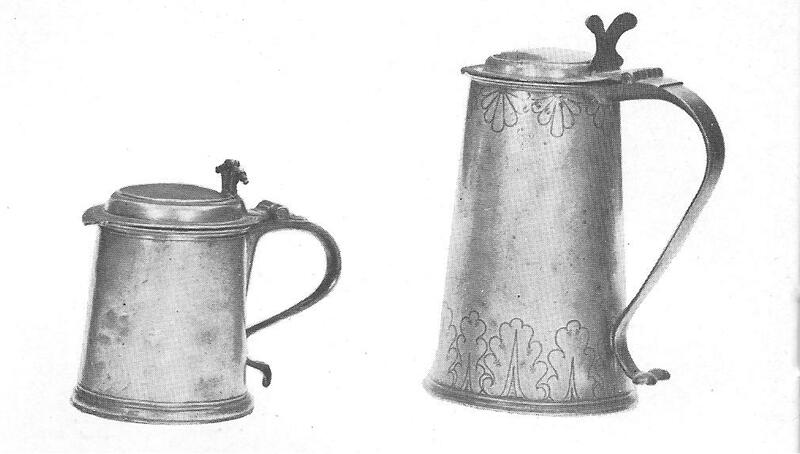 Below are line drawings of Iron Age decorated pots. For anyone interested in following Iron Age pottery the Prehistoric Ceramics Research Group is a good beginning.